Hat, Scarf, etc.... - No hats, Specs or masks. Religious headgear is allowed, but should properly show the face. Comments	- Two recent passport-sized photographs are required - Matt finish, Ears visible, Neck & Shoulder visible. Photo should be without border. 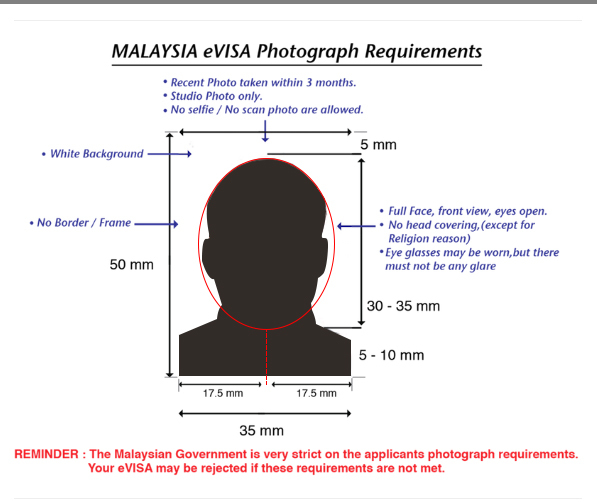 Get the complete information on Malaysia visa here. You can also apply for Thailand visa, Singapore visa, Dubai visa here.